What does successful construction fleet management look like? According to the “Fleet Master” award, successful fleet management means excelling in multiple areas. Areas include cost effectiveness, safety, maintenance, and innovation. The following three companies used construction fleet management systems to improve their performance. C & C Group is a leading facility service provider. One of the fleet’s main objectives was to protect drivers from accidents and from false claims. This was inspired by an incident where one of their drivers was involved in an accident. In other incidents, drivers were accused of bad driving habits. These claims, however, were unsupported by evidence. 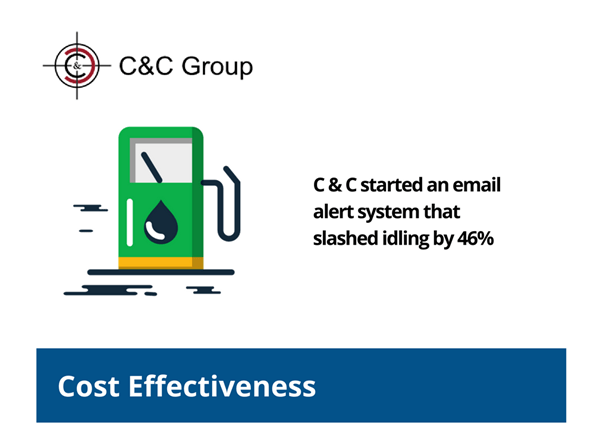 C & C Group used the Geotab tracking system to protect its drivers. The system notified the business if a driver was not wearing their seatbelt. Drivers were also protected from false claims. Instead of relying on stories, concrete evidence was provided by location history reports. This prevented fraudsters from stealing insurance money from safe drivers. In addition to protecting drivers, the construction fleet management system protected the business’s bottom line. Construction GPS systems can create fuel reports to measure and reduce cost. C & C used this system to create an idling program. The program automatically emailed drivers when they are stopped to remind them to stop idling. This idea saved the business $350 a month and decreased idling by 46%. Mineral Technologies is a mining company that uses a mixed fleet of over the road trucks and heavy equipment. One of its main fleet management objectives was to measure productivity. The company needs a real time measurement system to motivate employees and calculate worker compensation. The business implemented Geotab as its new construction fleet management system. The system went hand-in-hand with productivity targets. It created realtime reports for loading times, drop off times, and dumping times then compared it to company standards. 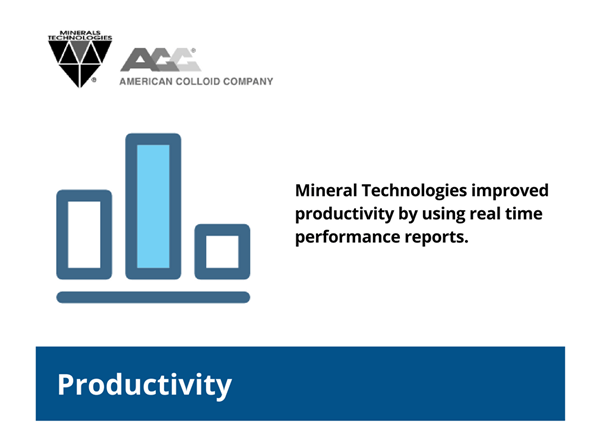 This was beneficial for both managers and employees at Mineral Technologies. The manager saved time by using real time reports instead of manually creating reports. Employees were able able to check their performance on the company TV after their shift. Red Hawk Fire & Security provides safety technology to businesses. The company is divided into several regions. The Northwest region had a very high accident ratio compared to other regions. The region wanted to improve their safety record and researched for a construction fleet management system. Red Hawk Fire & Security went with the Geotab system. This system significantly improved safety. Geotab reduced accident rates by 80% by measuring risky driving behaviour and helping correct bad driving habits. It also improved seat belt use. 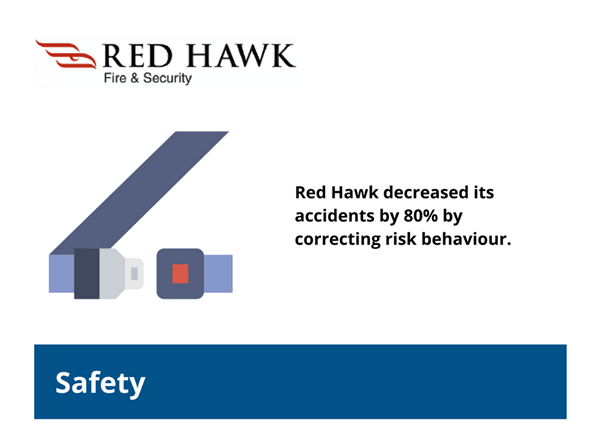 The region reduced seatbelt incidents from 250 incidents on the first day to complete elimination after a week. The system also provided accountability. Red Hawk Fire & Security was unpleasantly surprised after the Geotab system discovered time fraud. Some drivers stole time by leaving the job site early and claiming a full day’s of work. After implementation, management was able to promote honesty at work and reduced time fraud expenses. Learn more about GPS tracking devices for construction equipment.